Our conference attracts professionals from various areas of IT including, IT auditors, information security experts, risk management and governance professionals, and educators. They hail from the all over Atlantic Canada and have a wide range of experience in the field – we’ve drawn students, 25-year veterans and everyone in between. Open to both members and nonmembers of ISACA, the conference allows for all these people to interact, learn from one another, and find out about the latest tools they need to do their jobs right. We offer a number of sponsorship packages to suit the needs of organizations who would like to be a part of this event. Download the conference prospectus in PDF format. Please contact sponsorships@isaca-atlantic.ca for more information. Please see the following document for all information related to move-in, setup and tear down of your exhibit during this years event – download exhibitor move-in guide. 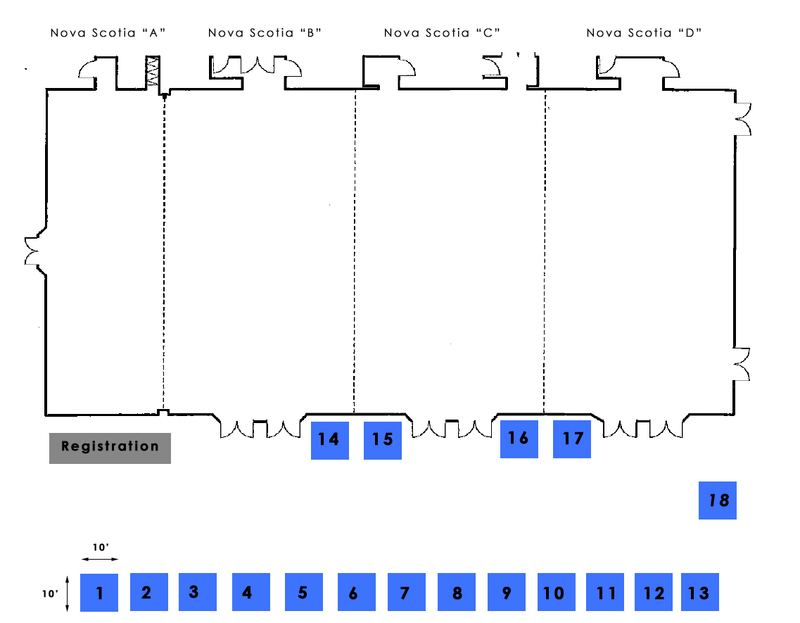 Exhibitors will be located in the pre-function area of the Nova Scotia Ballroom (where the general and breakout sessions will take place). When selecting a booth location, please provide the number below corresponding the booth. First round of speakers announced! !